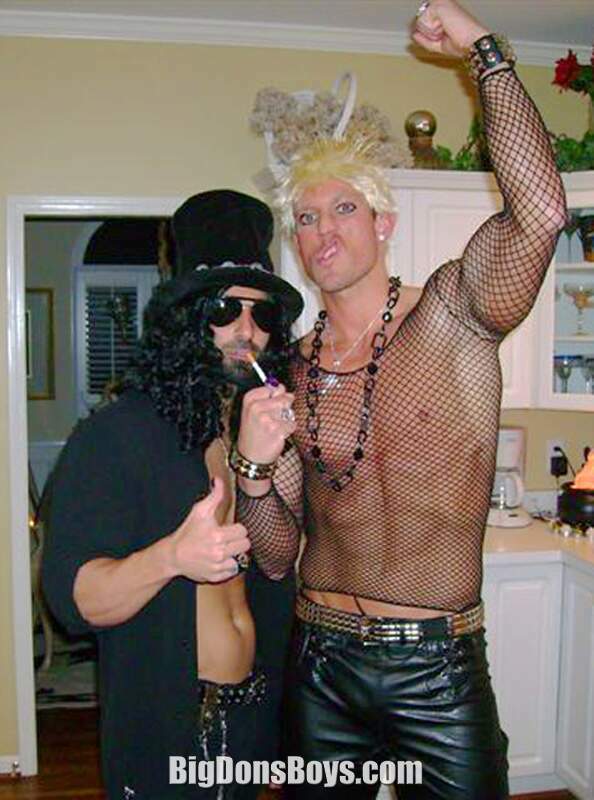 Stephano (at left) is another amazing bodybuilder/model who came and went fast. Nothing more on him. Sorry! 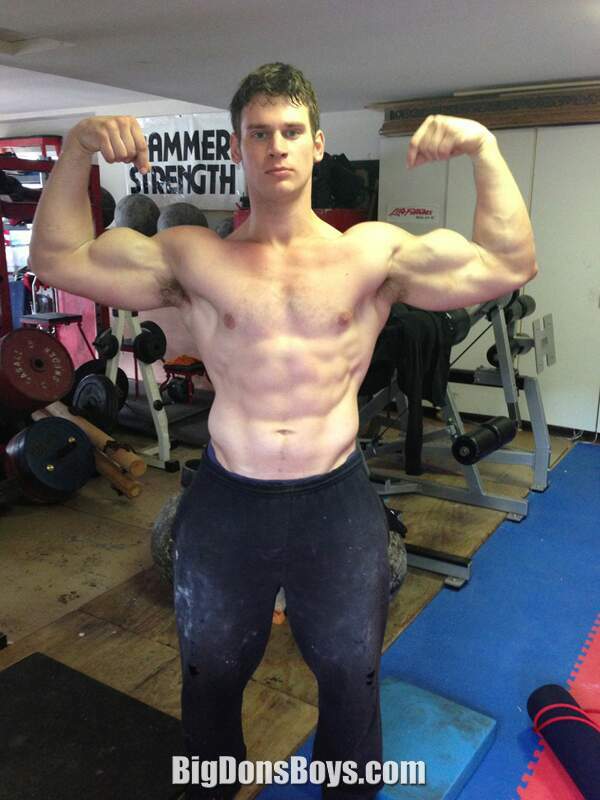 Chris is a gigantic bodybuilder who lives in San Francisco with his boyfriend and freely admits "I have body dysmorphic disorder." That's like anorexia nervosa but in reverse. He looks in the mirror and sees somebody who is always too thin. Most Americans don't have that problem. In fact, Disneyland had to redesign the "It's a Small World" ride in part because customers had gotten so fat that the boats kept scraping the bottom of the attraction. 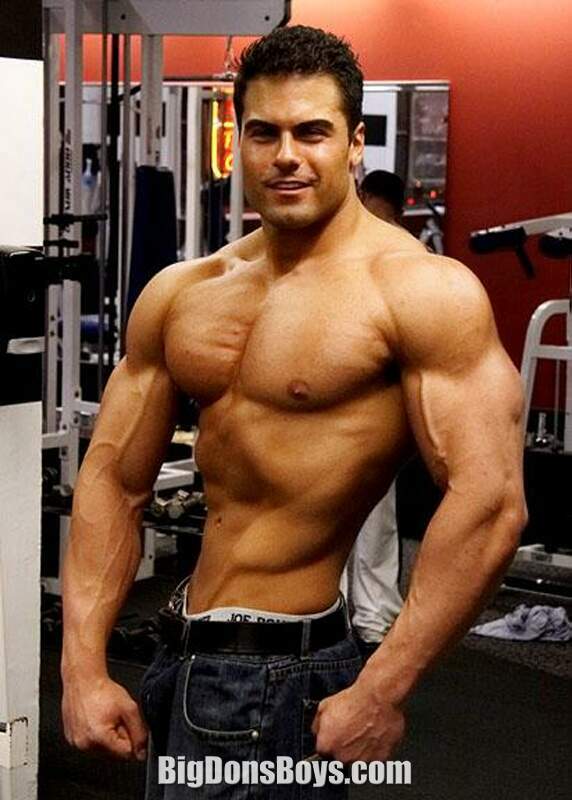 Russ Yeager is a competitive bodybuilder known for his insanely lean, cut and defined abdominal muscles. He is Mr. Situp! How did he get involved in fitness? On his website he writes "I really enjoyed playing basketball, but when I went off to college at Auburn University in the fall of 1993 I decided that I wanted to pursue a new physical challenge. I joined the Auburn Karate Club as a freshman and instantly fell in love with the physical and mental challenges involved in the martial arts. I ended up practicing Shotokan Traditional Japanese Karate for the entire five years I was at Auburn, and obtained my black belt just prior to completing my Masters degree in Accounting in the summer of 1998. Practicing karate provided an excellent cardiovascular, muscle endurance, and flexibility workout. It also required mental toughness and focus. I had lifted weights some in high school for basketball and began to lift weights more regularly during college. I liked the results I was getting from lifting weights and became very interested in learning as much as possible about training and diet and supplementation strategies that would allow me to get the best possible results. After finishing my Masters Degree in Accounting I began working for KPMG LLP, one of the largest global public accounting firms, which is where I still currently work today as a Senior Associate, having passed the CPA (Certified Public Accountant) exam on my first attempt. Despite a very busy schedule with work, my interest in bodybuilding and the health and fitness lifestyle began to grow and grow. I started to read anything I could get my hands on to increase my knowledge of bodybuilding, proper nutrition, and supplementation, including bodybuilding and fitness magazines, books, and internet sites." 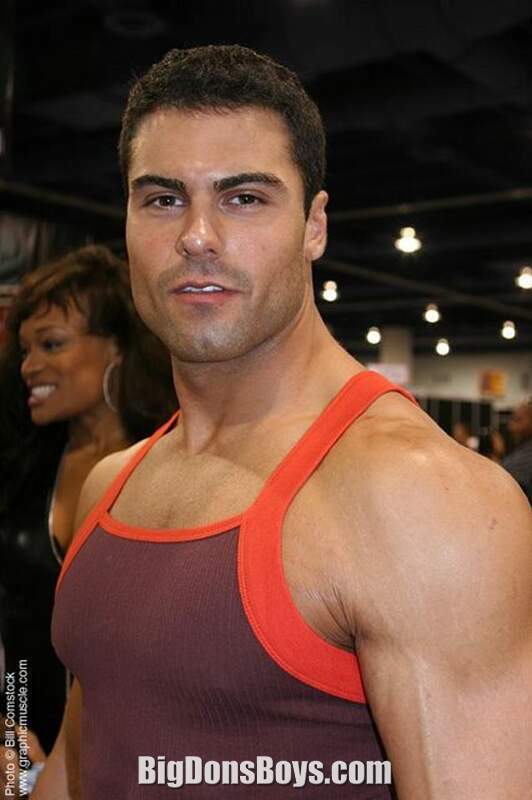 Bodybuilder and fitness coach Max Philisaire is an amazing looking muscle guy who lives in Los Angeles California. Philisaire was born on August 10th 1980, in Haiti to an Afro-Haitian father and mother. At the tender age of 8, his parents migrated to south Florida. 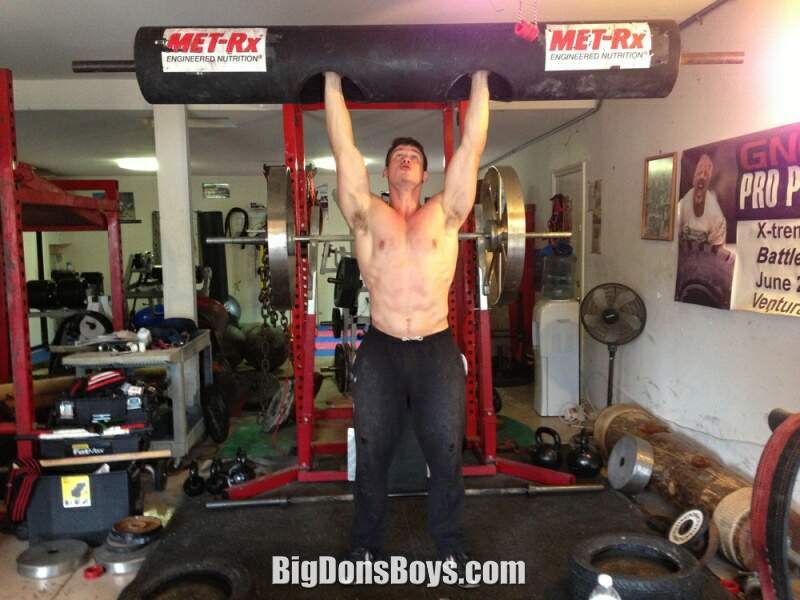 Max is a highly certified fitness expert with over 12 years of body building experience. He is also a U.S. Military combat war veteran. While deployed in Iraq, he used his bodybuilding training as a survival tool to keep himself and his fellow soldiers motivated. Channeling his personal experiences while working towards his own fitness goals, Max now leads by example and shares insight to men and women around the world through the World Wide Web, personal appearances and as a columnist helping people achieve their personal health and fitness goals. 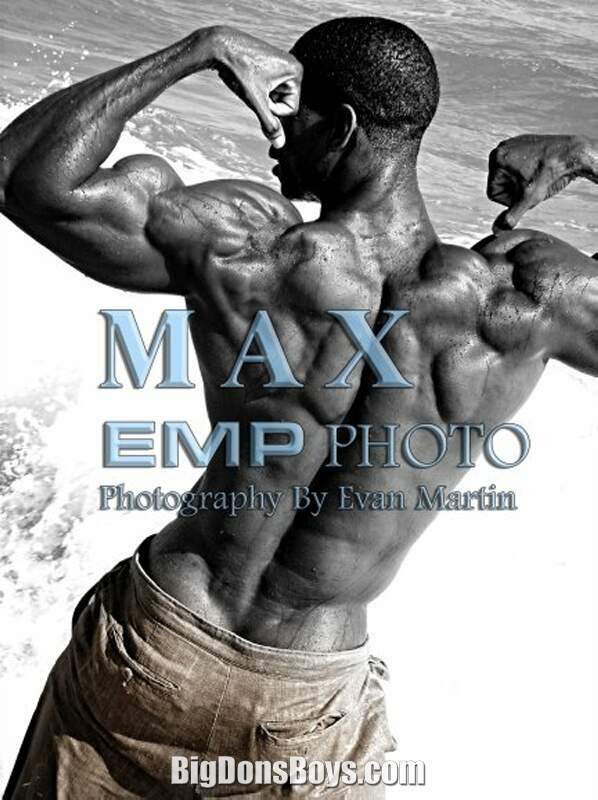 Max has been featured as a fitness personality on NBC’s, “America’s Got Talent,” Style network’s, “How Do I Look” and Spike TV’s, “Deadliest Warrior”. He has also been featured in numerous MTV music videos, TV shows, magazine publications and runway fashion shows. He credits all his accomplishment to God and his parents."